I don’t have records of Roy and this Charles in my tree, so I may have to do some digging to figure out exactly where they fit. From the dates, I would assume that Roy is an Uncle and Charles is a cousin. The inquest records are available at ISU and may list the parents, so I may venture over later and find the records. I actually know I accidently got all my Kindergarten shots twice, due to a mix up with my best friend of the time, Iva Sue. Iva and I would swap identities all the time and mess with the teacher. (Not to be confused with the time I took in a handwritten by me – in Kindergarten – note and gave it to the teacher saying that my name had been changed to Maria. My mother had signed it thinking it was another one of the endless papers that come home. My teacher turned the note in and my name was changed on all the records. The ‘mistake’ wasn’t caught until a couple weeks later during the parent teacher conference. BUT, the shots swap was when after doing our swap, the school happened to have vaccination day. I’d had my shots at the dr. (Dr. Elghammer) but Iva still needed hers. After I found out what was going on, I tried to explain the mixup, but no one believed us. You would think that having a cousin for principal, another cousin as janitor, and a cousin as the assistant to the first grade teacher, I would have been able to find backup, but nope. I got Iva’s shots. She still had to get her shots later, but I’m pretty sure that was the last time we pulled that swap. In my teens I went on to step on a nail while builders were adding a garage to our house. I think the builders had left nails all over, and I just happened to find one. Years later I managed to find a lightening rod with my foot. My husband had cut it off at the ground and I made the mistake of trying to open the telephone box above it. I happened to put my foot on the spot where the rod was as I pushed up on the box cover. This did prove some law of physics, but it also proved how ridiculous it is to go out at 5 am to try to test the phone line in just a nightgown and robe with no shoes (or Pants). I made it into the house and to the bottom of the stairs – screaming up at my husband, before passing out. Being a puncture wound (AGAIN) they don’t do stitches. My final nail was while cleaning a shed at my mothers. My mom has collections of everything! You name it you can probably find it there. Included is a shed that happened to have everything from some items from when we moved to KY and couldn’t fit things in the truck -to items that my mother has stored. There is even a hornet’s nest! The shed was falling apart, and as I opened the door another time, it turned out trim fell off onto the ground. As I walked in, I stepped on it, running it into my foot. I then had to limp to the house, while calling my dr to check on my last tetanus shot. I decided the best thing was to go to a walk in clinic. After trying to explain I was just there for a tetanus shot and yes I knew the drill, I was questioned, including to have to show the hole in my shoe… Finally I got my tetanus shot. The thought seeing the inquest record showing that a McArdle passed away from Tetanus from a nail though, makes me very glad that I stayed up to date on my tetanus vaccine. – And that the tetanus vaccine exists. There are some vaccines that protect against childhood illnesses that kids can get and hardly be affected (in most cases), but even the most benign virus can cause serious side effects in the right circumstance. Infants can easily die of whooping cough, adults can become deathly ill from chicken pox, and so much more. My great grandfather on my maternal grandmother’s side was lost to flu in 1918. Flu is something that seems to come back every year, so far with not as high a fatality rate, but still having an effect. This year alone the flu was devastating to children. I see posts on facebook talking about being more afraid of vaccines than the illnesses. The posts don’t put it that way, they use scare tactics – not mentioning all the deaths that are prevented by vaccines. Vaccines do save lives, sometimes it’s your own, sometimes it’s the life of the elderly or immunocompromised that you are exposed to. I shudder to think of what would happen if I had gotten tetanus from one of the nails that I have stepped on, and given my past history I can’t even say for sure that I won’t again. Tetanus can also be acquired through an open wound in infected soil – infected with the bacteria. Usually a hot wet climate. 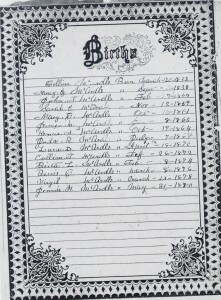 I need to start including cause of death in my family history files, since it’s so interesting! Not just the tetanus, but everything from being run over by an oxen team while rescuing his granddaughter (Uriah McArdle), burnt in a fire (Elmer McArdle), and even bone cancer (Mildred Eldridge). Finding health trends and genetic traits is also interesting! 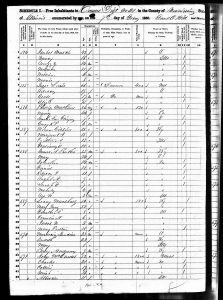 But now I need to research where Roy and this Charles McArdle fit into the family tree…..
Col Morgan Morgan is known as the first white settler in West Virginia. I’m currently documenting my line from Col Morgan Morgan to myself. He was born in 1688 and passed away in 1766. he was thought to be friends with George Washington and had children go on to do historical things also. His son who was my direct ancestor Zackquill, founded Morgantown besides being a Colonel himself and fighting in the Revolution. Morgan Morgan arrived in what is now West Virginia in 1731. In January 1734, he, among others, was appointed to the ‘Commission of the Peace’, meaning that he was a magistrate. He probably received a Patent for 1,000 acres (4.0 km2) ‘[i]n the Forks of the Rappahannock River & Westwood of Sherrando River’ on December 12, 1734. The long-standing claim that he was the first permanent resident there is, however, doubtful. In fact, the area now known as Shepherdstown, West Virginia, was probably settled by German-speaking immigrants as early as 1727. Morgan died at Bunker Hill, Berkeley County, now in West Virginia, and was buried in the Morgan Chapel Graveyard. Zackquill’s son Uriah (my direct line) is documented in the West Virginians in the Revolution book I’ve found Zackquill listed in. Uriah was found in Tyler County where John McArdle married Nancy Morgan, but that is where I am finding my stumbling block. I know Nancy Morgan is the daughter of Uriah Morgan and I have documentation showing her married to John McArdle in Tyler County. John and Nancy McArdle then moved to Vermilion County Illinois before Nancy passed away (before Uriah’s death). 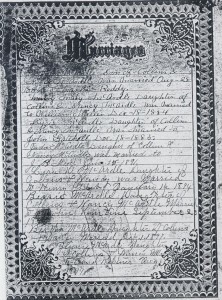 Nancy’s marriage license shows a Zackwell Morgan – most likely her brother, as a witness, but her father isn’t listed. Because of Nancy passing away before Uriah, she is not listed in his will. I am currently looking for the illusive copy of the book of Col Morgan Morgan descendants that should list Nancy Morgan as Uriah Morgan’s daughter. The book has been out of print for a while and isn’t available through any source I’ve found. There are a few others also, but I would need to visit a library (not necessarily close to me) to find them. I’m hoping someone online has a copy of the pages showing Nancy Morgan’s lineage. I have everything from John and Nancy McArdle on documented, so I am just missing the one link. Within the line, all of Nancy’s descendant’s in my direct line have met with deaths in accidents. I am curious now also what happened to her, as she passed away at a young age. Her son Uriah was run over by an oxen team while saving his granddaughter. My great grandfather Elmer died in a fire, taking down his whole house with himself in it. 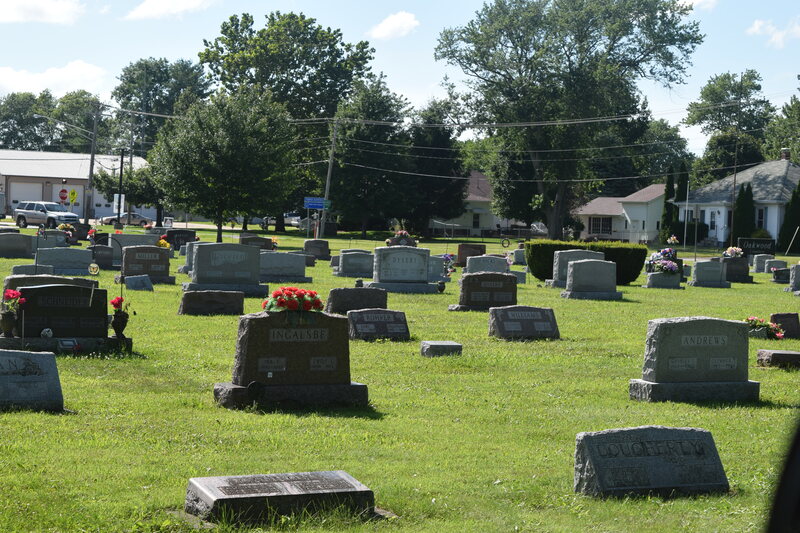 My grandfather drown at Ellsworth park in Danville Illinois while swimming with family and friends on flag day while my mother was only 3 years old. So I’m fairly certain this book has what I need. The question is getting a hold of a copy of this page and the front pages with dates and information about the book for documentation. The nearest copy to me is just over 100 miles away in Louisville and about 80 miles from my mother with no copy available to purchase on Amazon. My son is currently doing a project on family culture…. I think the class is cultural anthropology. The real question is what is our families cultural history. I also was struck recently seeing online a quiz a teacher gave for extra credit on race. The real question comes from if your family immigrated to the US (aka great American Melting Pot) at the start of the country, what is your cultural background? My grandmother Wakeland’s family immigrated to the US in the early 1900s after 3 of her sisters (my aunts) were already born. I can link superstitions and our Catholic upbringing to them… but beyond that it becomes more of a question. My husband’s family came to the US in the 1920’s, but didn’t really bring a lot of cultural heritage that we know of. The family was also Catholic, but didn’t seem to have all the superstitions that my Italian family did. For my family the McArdle on my mom’s side and all of my father’s side, were more the been here for ever, what would you consider culture.. but maybe that is a culture? Both sides of the family have lots of family history to fall back on. There were strong attitudes too, most were incorporated into the family for generations… My ancestor Rev. John Corbley’s museum still has a family reunion every year at the church near his former farm. Rev Corbley was originally part of the House of Delegates for the state of Virginia, but was voted out due to separation of Church and State in 1777. Corbley was not an ordained minister but was thought to be enough of a minister to be ousted from the government. Corbley later was part of the resistance during the Whiskey Rebellion when the settlers objected to the first tax imposed by the new country. The government made a new federal tax on whiskey distilled in the area of Pennsylvania. President Washington later released everyone and sent them back home. Stories from Corbley’s life tell of him being allowed to go out during the day and return to the jailers at night until finally being told he could return home to his family. 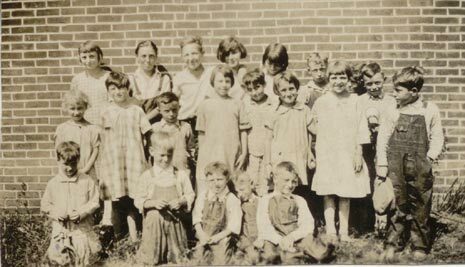 Other stories from the family include tales of family that were some of the first Postmasters (McArdle), platted towns (Edward Corbley), Farmers (Richters), and even some of the first school board members of their area (Abraham Lincoln Richter)…. These ancestors all helped shape the country that we currently live in. Many faced adversity and though some have faded into obscurity, they helped make the nation that exists today. The question really is though how does this fit with our current family’s culture… When I think of it, I see my mother who is now active in the Daughters of the American Revolution… many of my cousins and aunts that have been active in politics. I also see my cousins and my children doing what they can to help others and standing up for those in need. We’ve tried to instill in our children to help people when they see injustice or need. Though we sometimes slip, we try to focus on the positive. The earliest birth in the bible is Collins McArdle. Collins parents who are my direct ancestors seem to be missing, making me think this is Collins (or his descendants) Bible. Family Bibles are a great place to find out information about Births, Deaths, and Marriages. The family bible used to be the favorite place to record major events in any family. 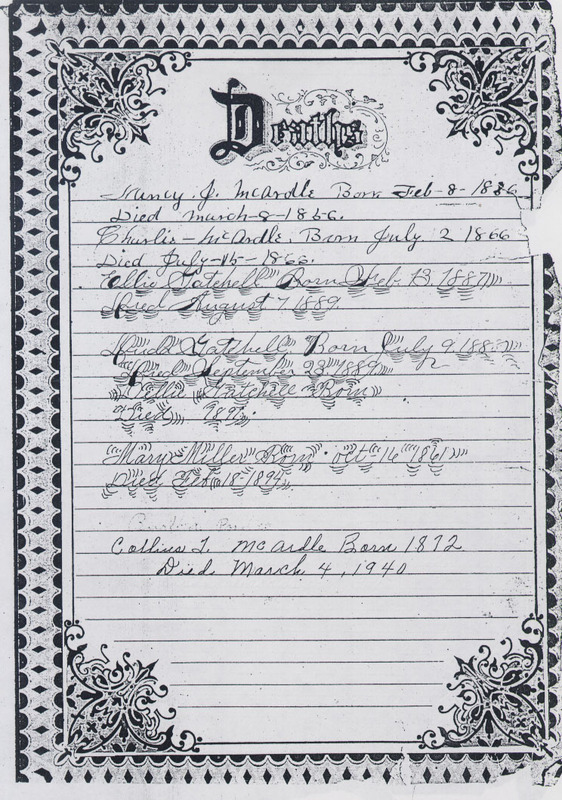 This shows scans from the McArdle Family Bible (of the Collins McArdle) branch of the family. Lots of great information is included! I have the family Bible on my other side form the Corbly part of the family (Dad’s Side), but these are from my mother’s side. My mother is interesting in tracking down information about her grandmother especially. Hattie Jane Mahaffey – wife of Elmer McArdle. 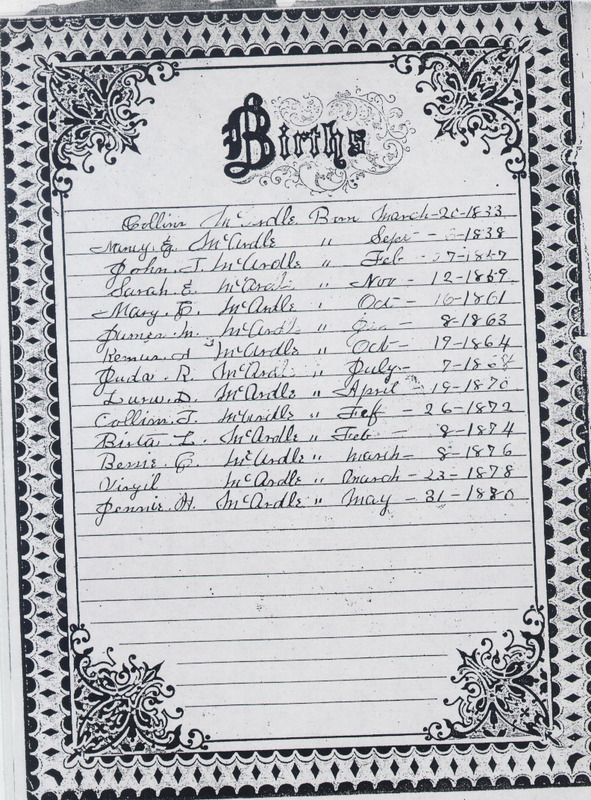 Collins McArdle – March 20, 1833, the first birth recorded was my 3rd great uncle and born in Virginia. His parents were Nancy Morgan and John McArdle. His brother Uriah was my 2nd great grandfather. Uriah was killed from injuries he received saving his grandchild from a run away oxen team. (The Daily Herald June 14, 1912). The McArdle Bible shown was from the Collins McArdle branch of the family, born in Virginia – moved to Illinois, and then moved on to Kansas. Even being another branch of the tree, these Bible pages are still interesting! Collins McArdle was only one year in age difference from Uriah. I would assume this would have made them close brothers. My father has a lot of brothers and sisters and growing up in a small house, older siblings had to move out as new siblings were born. My dad actually has a nephew the same age as he is! As I follow Collins through the census in Virginia and Illinois Uriah is nearby throughout Collins Virginia and Illinois years. By the 1860 census, Collins has married and that is the beginning of the split. 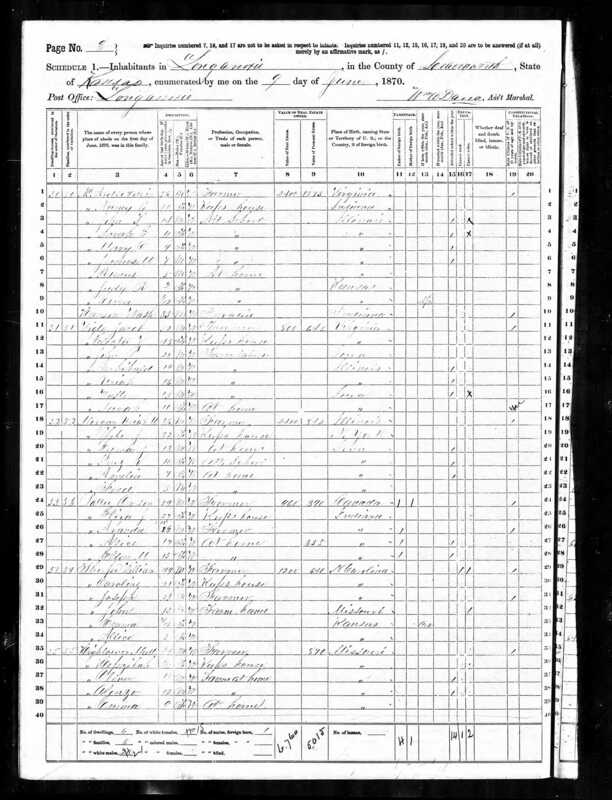 In the 1870 census, Collins can be found in Kansas, where he remained the rest of his life. Uriah, on the other hand stayed in Illinois in the same area that the family had relocated to from Virginia. 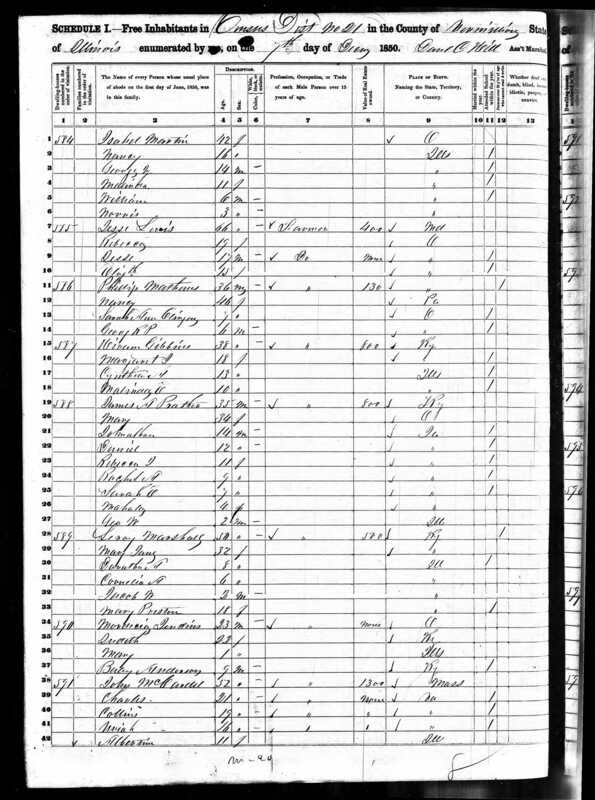 Interestingly enough in the Kansas Census Electra McArdle Wygle is also listed as living with her husband Jacob Wygle and children near Collins McArdle. Electra also being a sibling of my 2nd great grandfather Uriah. Wygles have shown up on DNA results on the different bureaus. The interesting thing is that she is hard to find in the census records as Electra McArdle. 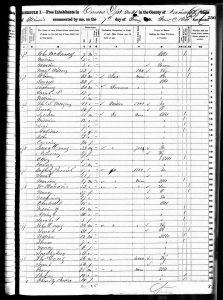 In the 1850 Census she had already aged out of the household…. and any census before 1850 only would list the head of the household. 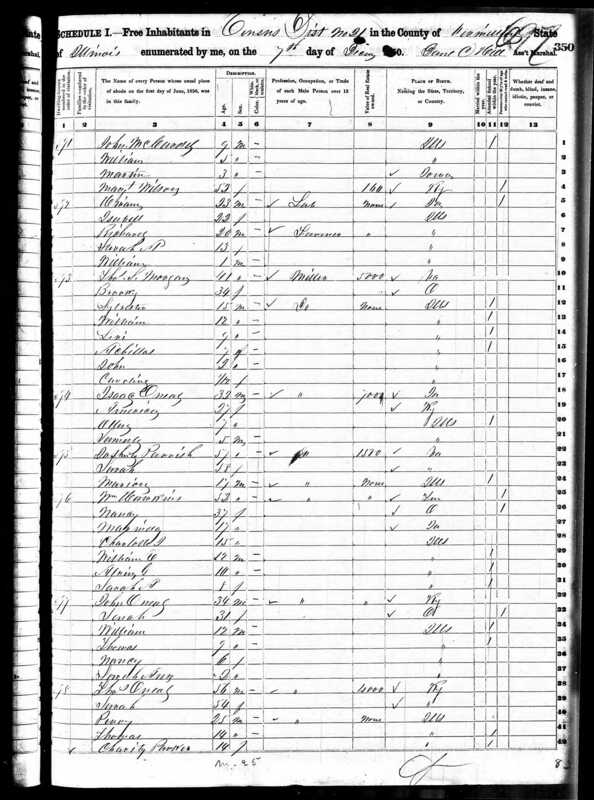 Electra is listed as Lectra McArdle marrying Jacob Wygle on 15 Jun 1848 in Iowa, so my thought is that Electra married Jacob Wygle and moved out west, ending up in Kansas. As time went on a message might have been sent to her younger brothers that land was available in Kansas and to come join the land grab. Most of Kansas became permanently part of the United States in the Louisiana Purchase of 1803. When the area was opened to settlement by the Kansas–Nebraska Act of 1854 it became a battlefield that helped cause the American Civil War. Settlers from North and South came in order to vote slavery down or up. The free state element prevailed. According to records, scores of settlers came to Kansas after the Kansas-Nebraska Act in 1854. The timing does work. I’m not sure which side of the debate this part of the family would have been on, but it does seem that they may have moved to Kansas to join the rush. Of course this is all conjecture… but, it’s interesting to think of the reasons that they may have moved out west, leaving friends and family at the time. 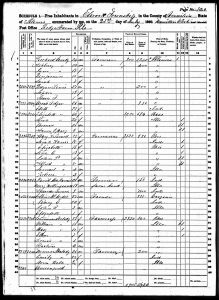 1870 Census KS – includes Collins McArdle and Electra Wygle…. I’m currently researching my mother’s grandmother’s family. 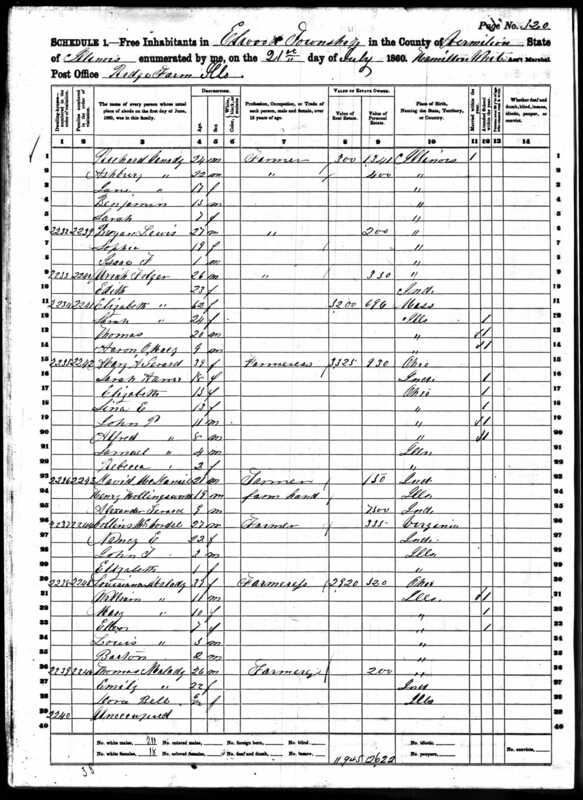 Hattie Jane Mahaffey seems to have come to Illinois between 1900 when she appears in the census with her family and 1906 when she marries Elmer McArdle. She proceeded to have five children and then die young. Finding information about her time in Illinois is fairly easy but beyond that…. When Hattie Jane Mahaffey was born on April 11, 1887, in Tennessee, her father, Benjamin, was 33 and her mother, Bettie, was 27. 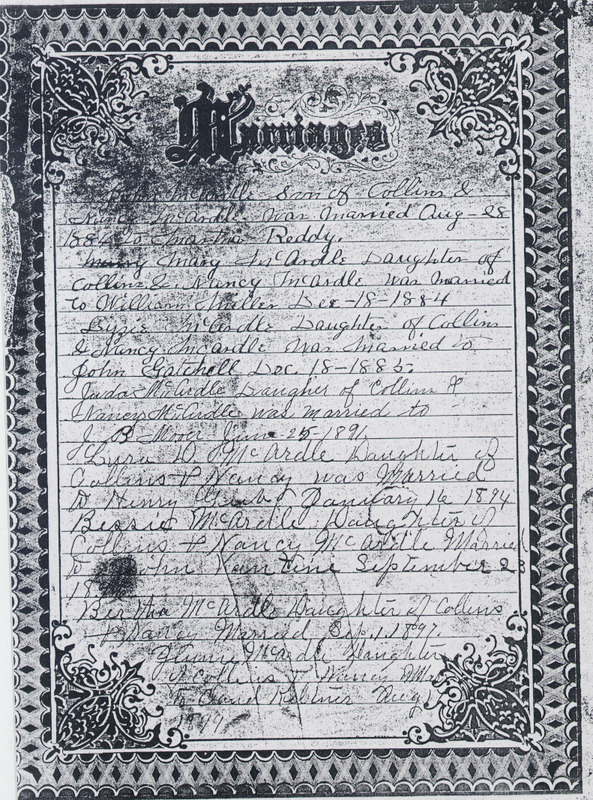 She married Elmer E McArdle on April 12, 1906, in Vermilion County, Illinois. She had five children by the time she was 28. She died as a young mother on January 14, 1922, in Vermilion County, Illinois, at the age of 34, and was buried in McKendree, Illinois. 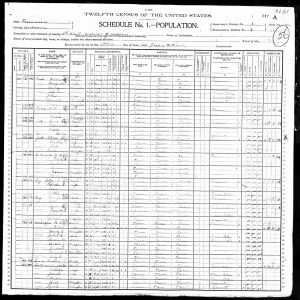 I haven’t been able to find Hattie Jane in the 1890 census (but I’m not sure it’s all online yet!) and I’m also not positive Bettie is her mother. 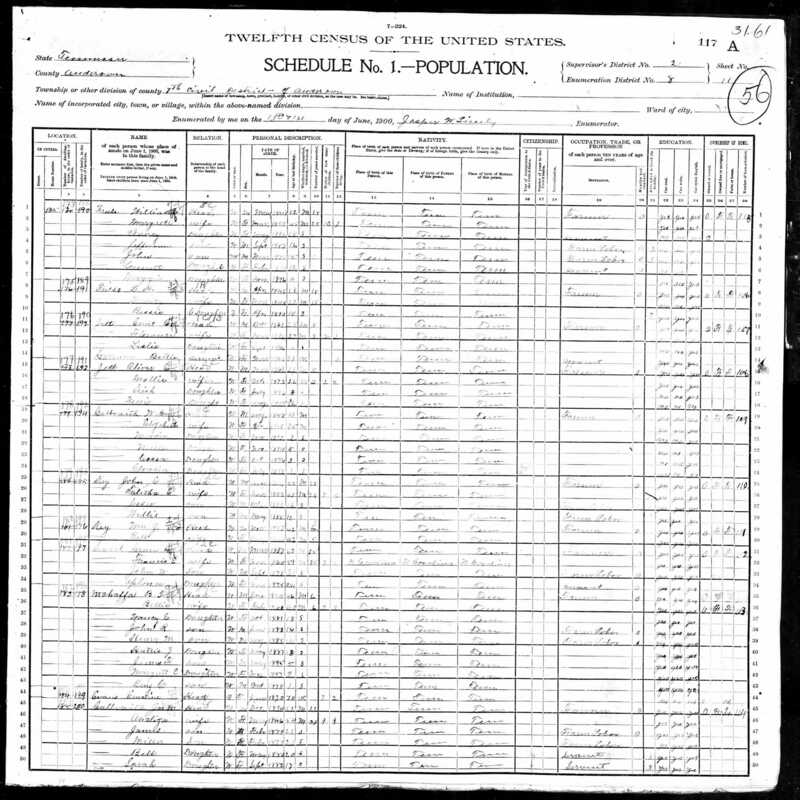 Looking back and trying to find her father Benjamin (He was listed in the census at B.Mahaffey and the spelling was different) I’ve found some conflicting information, but it’s possible he was married three times, he was born in South Carolina, moved to Tennessee and then possibly moved to Illinois or Colorado. One of the things that is really interesting is that number of spellings of Mahaffey. I assume some of these were transcription errors, poor handwriting – but others? Were they changing their name? Were they correct spellings? It definitely makes following people through history more challenging. As I’ve mentioned before, I’ve turned off my family tree matching because of all the incorrect, unsourced information I was finding that was being merged – related to Julius Caesar anyone? My mother and I are discussing a trip to Tennessee to see if we can track down more information. I would love to find people researching the same limb of the Mahaffey tree. The only part we are 100% positive about is the Illinois portion of Hattie Jane Mahaffey’s life and that she was from Tennessee, her father is listed as being from North Carolina and mother from Tennessee. The 1900 Census I found that seems to match though has B.T. Mahaffa as being from TN, as well as the rest of the family. There is a Hattie J of the right age listed though. Correct? I was just at my parents and ran into someone that traced their line WAY back…. And to admit it I have a tree that has that too. I know what I need to do to my tree and what’s wrong with it….. It needs SOURCES! and in reality to go back that far the odds of finding sources are pretty near impossible. Though how far really is that back, how many generations? If you think that each generation probably got married younger as you go farther back – up to a point – my grandmother Richter got married at 14 I think…. But I would say an average of 20 to 25 years old. So taking the year 2000 minus the year 600 and an average mother’s age of 25…. You get 56 generations back! Looking at the chart below I suppose by the time you get that far back you pretty much have most of a country (or all of a country) in your family tree….. My tree does go back and I know I need to work on my sources. I have a few places that I need to shore up my documentation definitely. What do you use for documentation once you get back a certain number of generations? 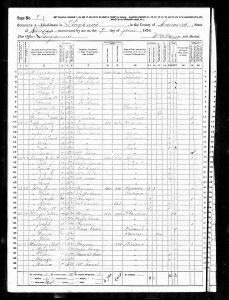 The census and other government records are great here in the US to document back to 1850, but going beyond that you run into what to use? For one side of my family we have a family bible. Family bibles can be a great source of information! There are also newspapers that have some information, church records, and military records. 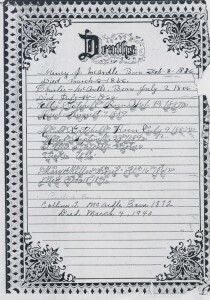 I’ve found probate records for wills that have also helped. Going back beyond the 1800s though becomes tougher. For some members of my family that are well known there are books that I can find where others have taken the time to trace the tree. I’ve collected all I can find as these books get harder to find as time passes. For regular family lines it gets almost impossible though. Add to that the records being oversees and frequently not in English and the search gets tougher. I’ve slowly been working through my records to add sources, but wondered about everyone else’s trees. I’m also ordering the DNA kit. I thought I may as well give it a try. I think the biggest mess in family trees on ancestry comes from the family tree merge…. I know when I first started out and saw it…. I made that rookie mistake and am still trying to clean it up. Ancestry allows you to merge other peoples trees to your tree. I also started tracking my family tree when I was about 14… Commodore 64 and paper time, and was just questioning relatives. I didn’t document anything and relied on my memory for some. I do have the paper copies of what I wrote, but my wonderful relatives from the time are all gone. Between family member sources that aren’t documented and merged trees with unreliable sources, I am now using my tree as a source of hints that need researched. I don’t have my tree set to public knowing there is information out there that shouldn’t be relied on. I do have a lot of great information and I have documented almost all of my direct line as well as a lot of other great pictures and documentation, but ughhh! cleaning up a tree with thousands of people is a mess. I never merge family trees now. I will turn on that feature and look when I want new hints, but I won’t link the information…..
What do you use for hints? Sources? How far back does your tree go?